Pretty much everyone knows the tale of Jack and the Beanstalk. Jack got some magic beans, his mom tossed them out the window, and they grew an enormous beanstalk. 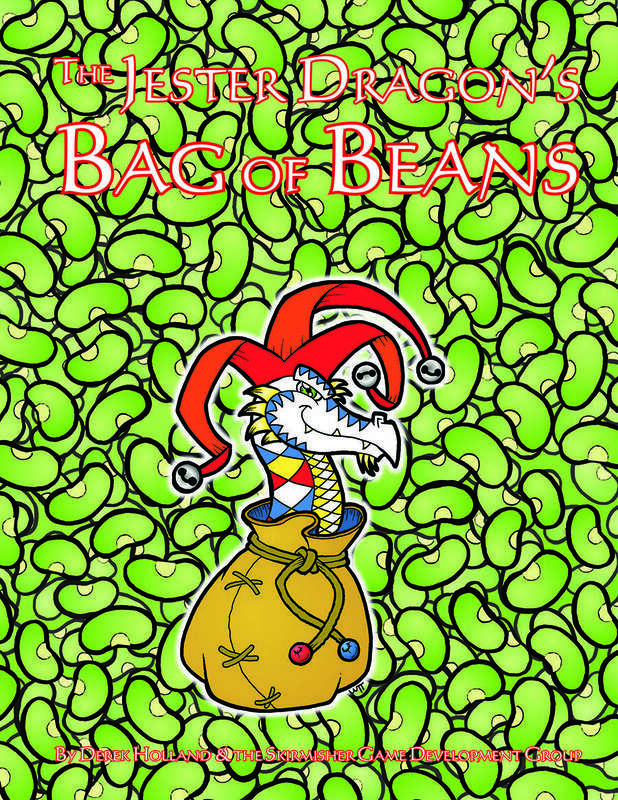 In D&D, there's also a bag of magic beans. But the folks at Skirmisher Publishing didn't like how it was implemented. So they came up with their own list of 100 beans. You can get your copy now. When you want to play in an RPG, you've gotta start with your character. That's the foundation of what else will come later. But... not everyone has the ability to make a character on their own. There's tons of different options and choices and such. It can get you lost very easily. 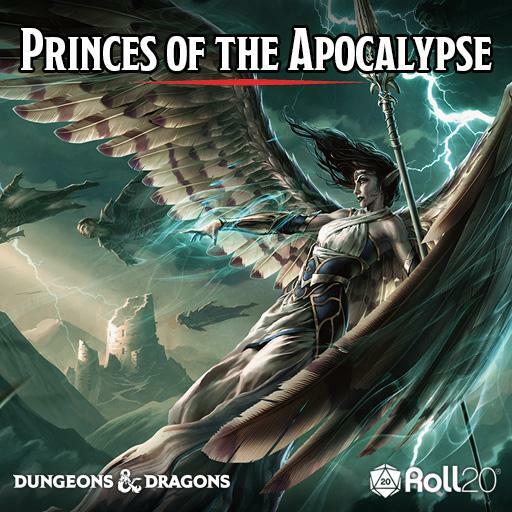 That's where Roll20 comes in. They've added their new Charactermancer to their program that'll help you get up and running. When playing an RPG, I know that I like to have figures that represent what we're fighting and for our characters out on the table. Sure, you could just throw anything out there and call it good, but if we're fighting dudes in armor with mauls, I want minis of dudes in armor with mauls. If we're fighting ghosts, I want minis of ghosts. And so forth and so on. Sometimes it can be hard to find just the mini you want, so having more is always helpful. Thankfully, there's always new sets of figures coming out, such as D&D Icons of the Realms: Waterdeep Dragon Heist from WizKids. We all know of my love of extra resources for GMs when it comes to games. Even if an adventure, in total, doesn't work for your group, you can probably find some stuff useful for it. 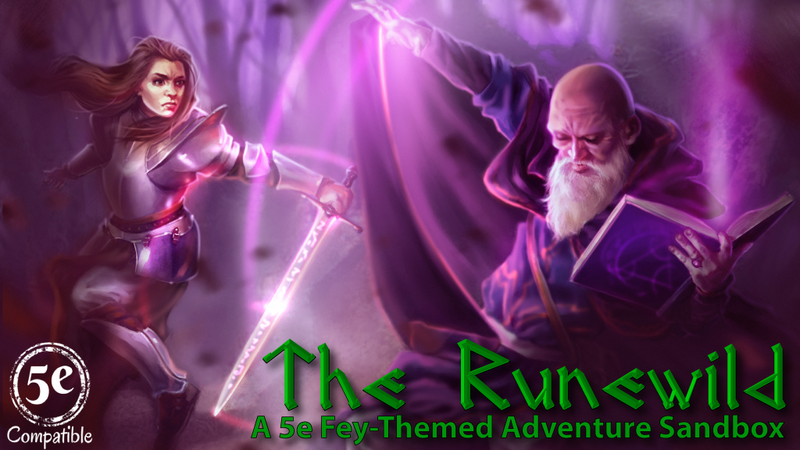 Well, The Runewild adventure looks to make all of itself useful by being not so linear, but more sandbox, letting players come and go as they please, and giving the GM plenty of resources to keep up. The book is up on Kickstarter now. 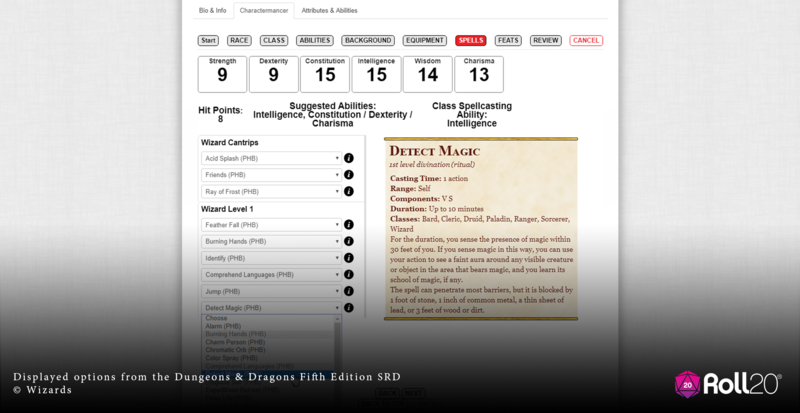 Roll20 is the perfect way to play RPGs with your friends all over the world, online, in real time. And they're making sure that you get the latest books available for the most popular RPGs as soon as possible. As such, they've got Mordenkainen's Tome of Foes available for purchase and support on their site. Bring in all those new pieces of gear, character options, and monsters to your games now. A new book has been released for 5th Edition Dungeons & Dragons. 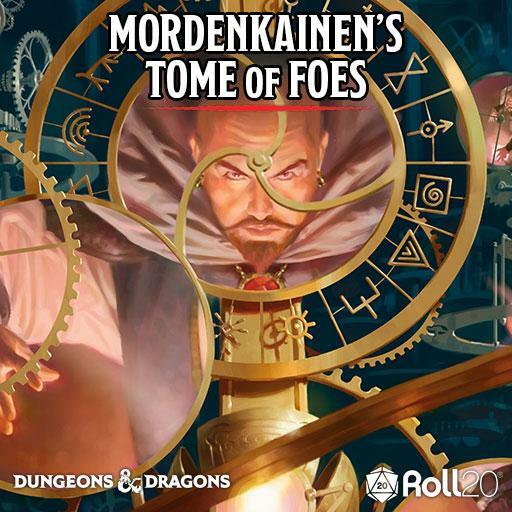 Mordenkainen's Tome of Foes is chock full of new information for both GMs and players. There's information about new varieties of elves as well as tieflings. There's stats on the various gods and demigods and demons that inhabit all the different realms. There's descriptions of battles that happened long in the past. It's quite a resource, and you can get your copy now. There's a lot of settings out there that can feel rather "samey." You know, there's the elves and the orcs and the castles and the dragons. Or even if it's a sci-fi campaign, it seems like just a re-hash of something you've seen. 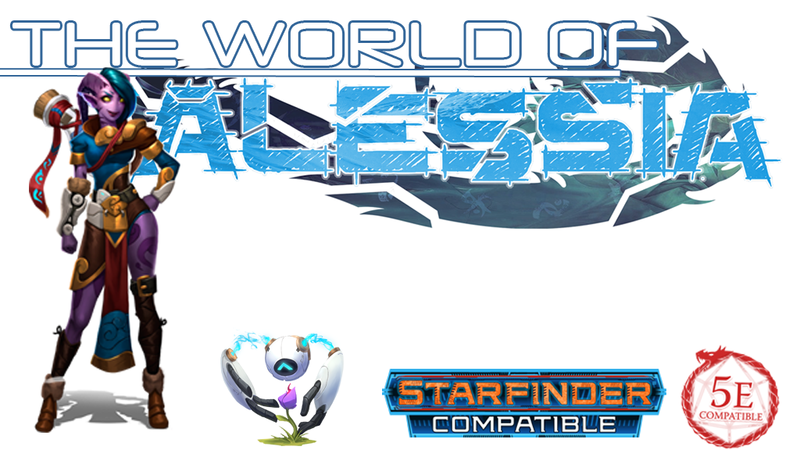 World of Alessia looks to create an all-new universe that, while inspired by others, is its own thing. It's got technology. It's got magic. It's got... well, there's still dragons, but dragons are cool. 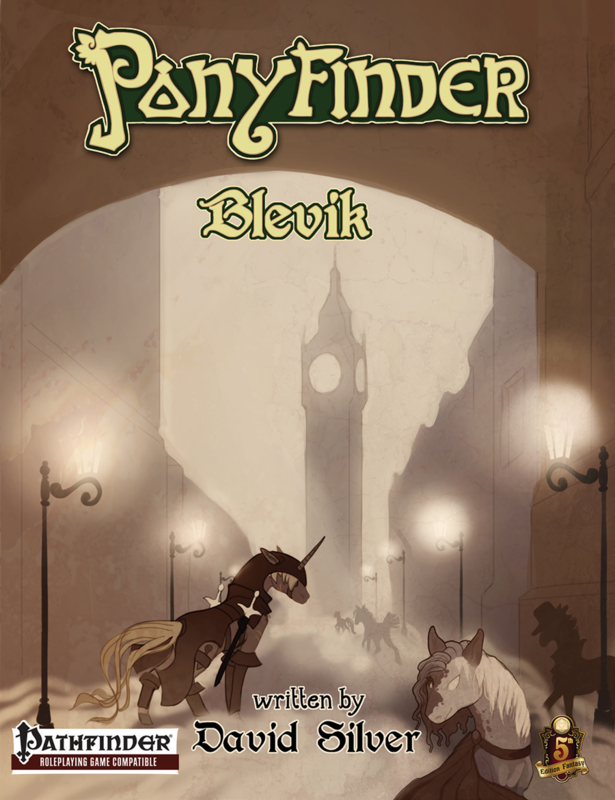 The Campaign Primer is up on Kickstarter now. Burial chambers are supposed to be just left alone. The bones of the dead are supposed to just be able to rest eternally. However, in the ancient caves that hold the remains of the founder of Shadowhaven, all is not still. 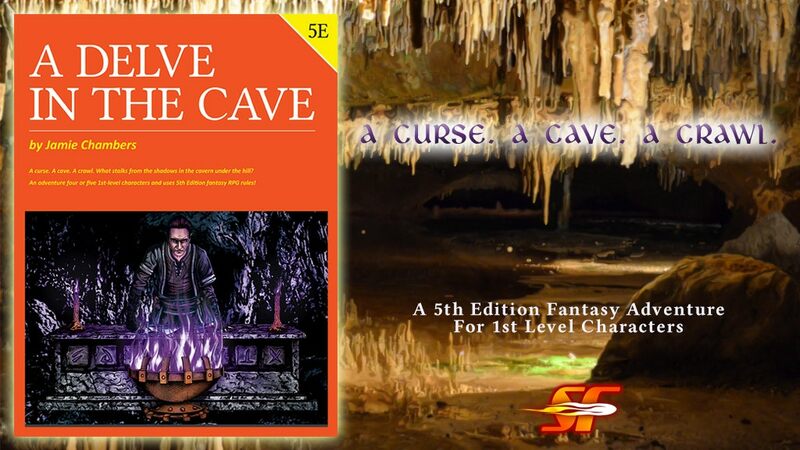 But exactly what is going on is your task to find out in A Delve in the Cave, a new adventure for 5th Edition that's up on Kickstarter now. As you know I've said before, there's no such thing as "too many options" when it comes to resources for a GM when they need to make their game. 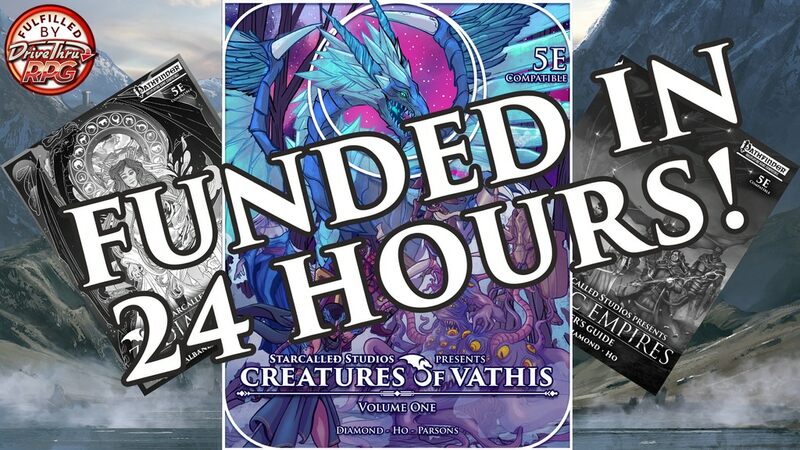 In this case, Creatures of Vathis: Volume One looks to bring a whole host of monsters and other creatures to games of 5th edition. The book is up on Kickstarter now. Having pre-made adventures to toss at your players is always a handy thing for a GM. It really helps cut the prep time for games, and makes it so they can enjoy what's going on as much as the players do, since a lot of the heavy lifting is done. 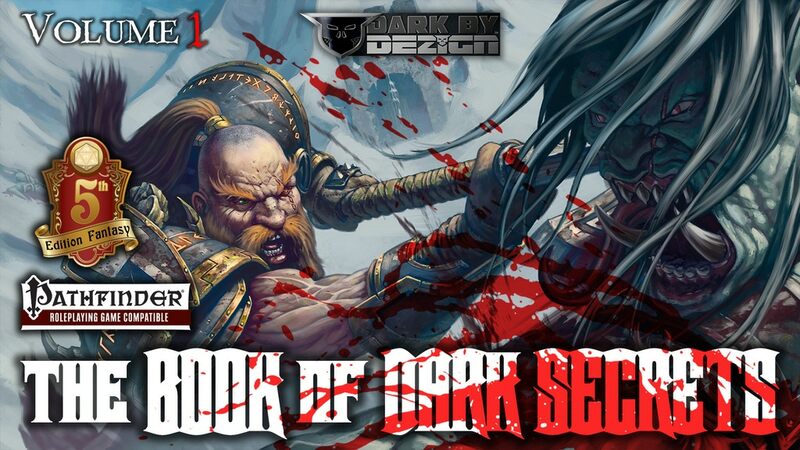 Dark by Design is currently running a Kickstarter campaign that's got two books just full of adventures for your parties to go on. Halfway through the week already? Man, it sure does seem to fly on by. We'll see if today is its usual "seemingly longest day of the week" or if we can get on through it. But any way you look at it, we need to make sure our energy's up, whether it's a quick couple of days to the weekend or it takes a while. So let's snack on some bite-sized gaming stories. Today on the platter we have: New Bastet Helmets Available From Puppets War, 28mm 1745 Jacobite Rebellion Miniatures Up On Kickstarter, and The Army Painter Announces Official D&D Paints Line. 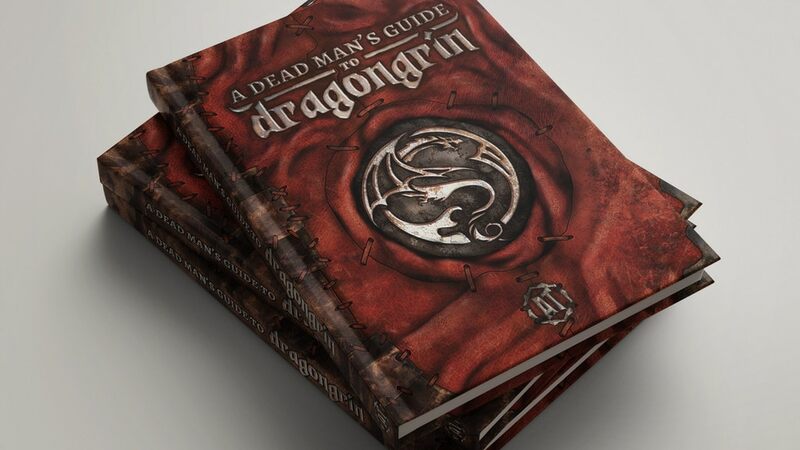 A Dead Man's Guide to Dragongrin is more than just a setting book. 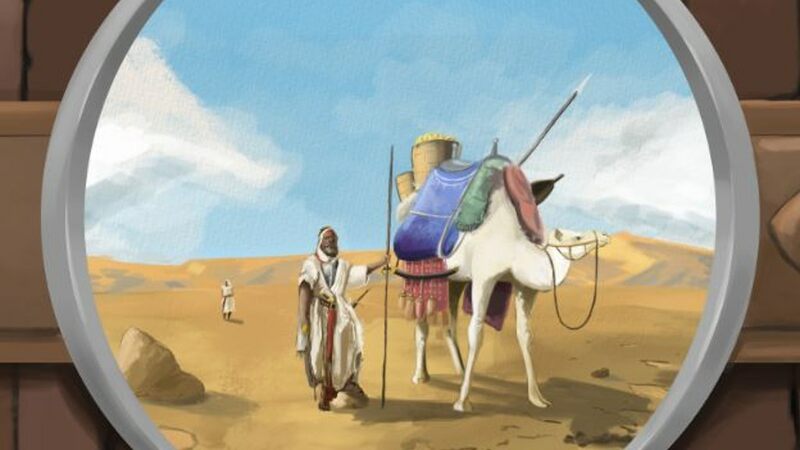 With those, you get some history, some maps, and some NPCs. This one really looks to help the GM along with building the world as well as just pointing things out. Instead of having to shoehorn your game into the setting, the world is malleable and changeable, able to be what you need it to be for your game. The book is up on Kickstarter now. Set sail, mehearties! 'tis time for some high-seas adventure! Hoist the misenmast and set that yardarm and ... other stereotypical piratey sayings! Legendary Games is looking to inject some swashbuckling action into your 5th Edition and Pathfinder RPG games. 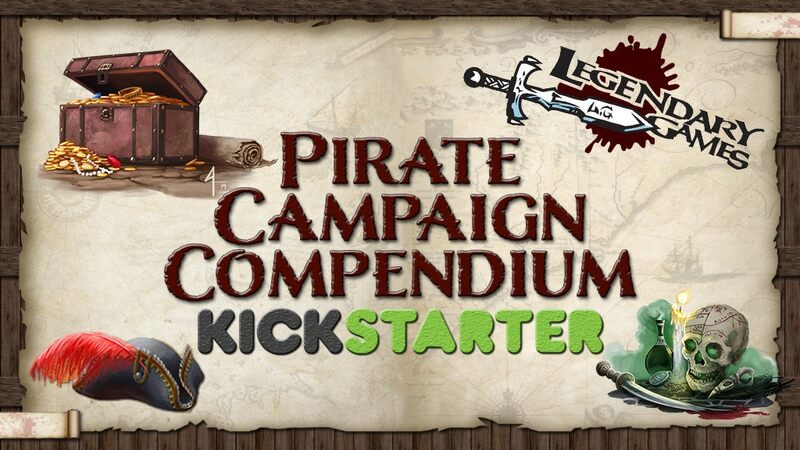 They're running a Kickstarter campaign for a Pirate Campaign Compendium with plenty of characters and equipment and adventure paths for a whole bunch of pirate play. I'm sure many of us can remember back to the first RPG adventure we tried to run or played in. 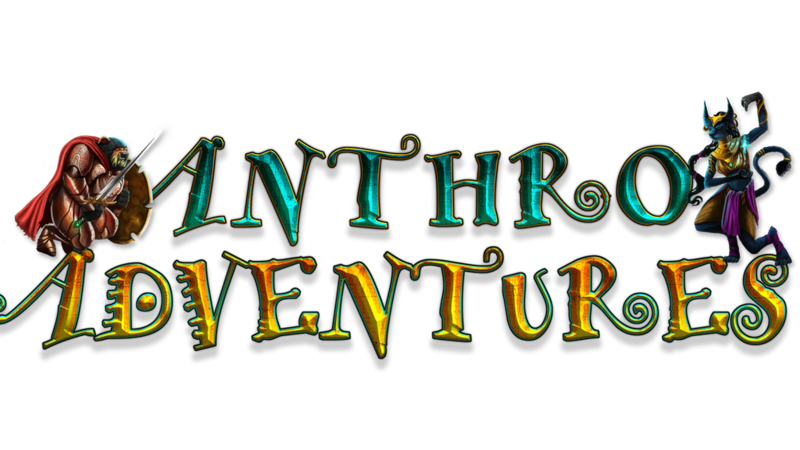 It might've been something you came up with, yourself, or it might've been a pre-generated adventure. If you were pretty young, you might not have fully understood how things worked, as the book was more-than-likely not written with a new player in mind. Well, the Hidden Halls of Hazakor, a new 5th edition adventure up on Kickstarter, is written not just for new players, but new dungeon masters as well. It's always nice to have options for your RPG character. Those that pick up Mordenkainen's Tome of Foes will have plenty of new options available to them. Wizards of the Coast has announced this new book for Dungeons & Dragons, brimming with story hooks for your games, background options for characters, new alternate race traits for characters, and much, much more. As I've said time and time again, having more resources for the GM is never a bad thing. They have an entire universe to populate while the players have to only worry about their own characters. I know I've struggled to come up with all the NPCs that my group might encounter along the way. 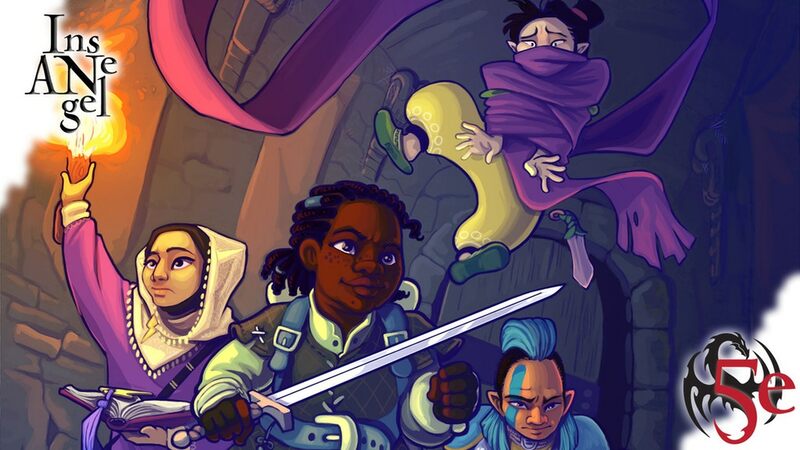 So it'd be handy to have something like the Ultimate NPCs Guide that's up on Kickstarter now. It's over 200 pages of pre-built characters of many different levels you can just drop into your game. Options. It's all about the options when you're trying to GM a game. Trying to create monsters on your own can be difficult and time-consuming. Thankfully, Kobold Press is here to help. 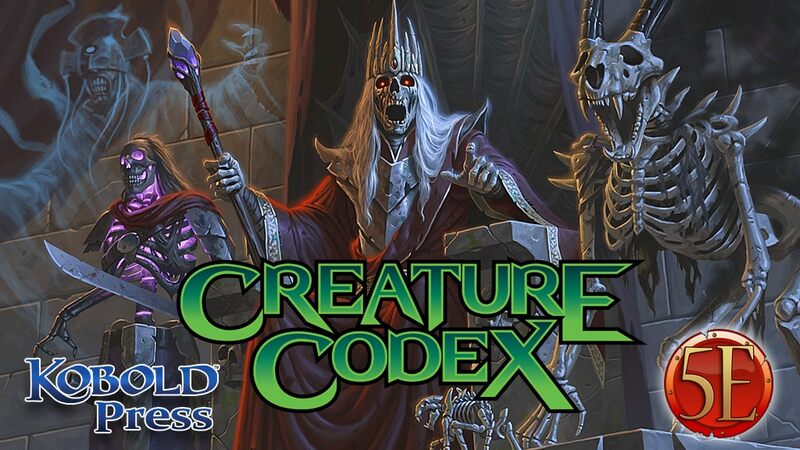 They've got a new collection of monsters for 5th Edition that they're calling their Creature Codex. You can check it out over on Kickstarter now. While the various D20 systems have a decent bit in common, and stats can certainly be shifted around between them, it's much easier to just have a book that gives you right what you need. Well, if your group had been playing Pathfinder and using the Anthro-Adventures rules, but are now playing 5th Edition, you're in luck. 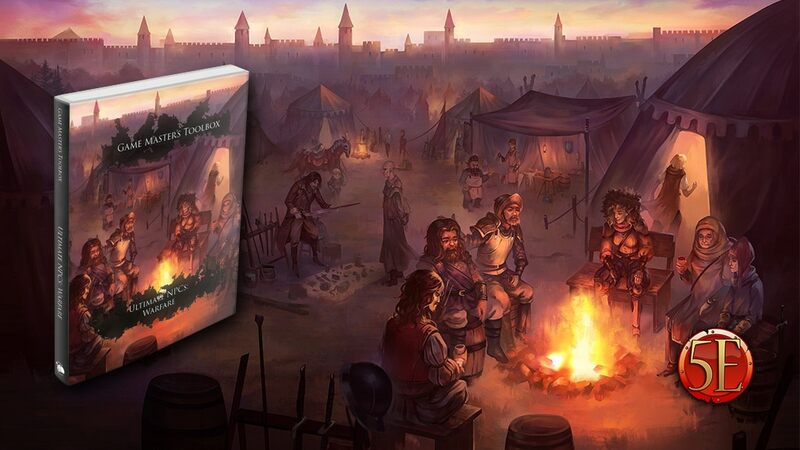 The new format for the campaign setting book is up on Kickstarter now. You know I love to fill my time with as much gaming information as possible. I'm also always looking for ideas for the RPG I'm running. A good GM can find inspiration in a lot of places, even if the system you're reading about isn't the one you're using. 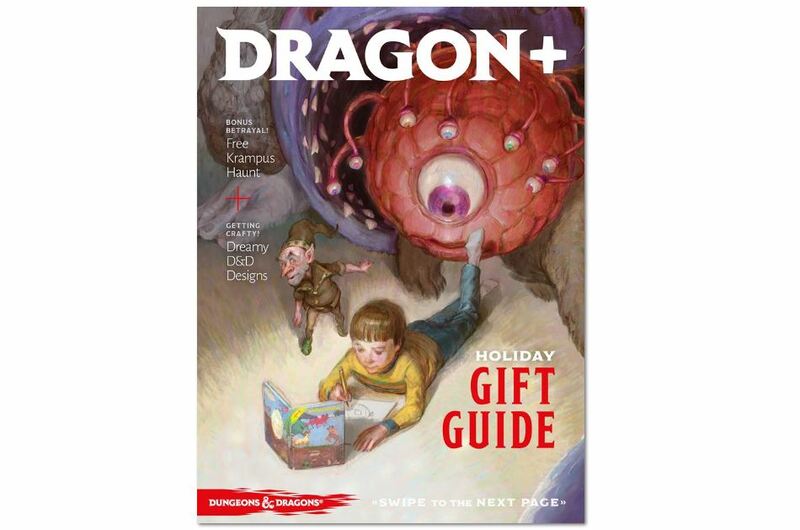 Well, whether you're playing a WotC-based game or not, you should still check out Dragon+ Magazine, the 17th issue of which is available now, as it's full of lots of good information. You can download your copy, for free, now. I love to use minis when doing my RPGs. It gives everyone a sense of where people are in the encounters, as well as can help make things feel a bit more "real." What I hate is when I have to use the wrong mini for something because I don't have the right one. Or you've got several that all look the same and you mix up which is which. 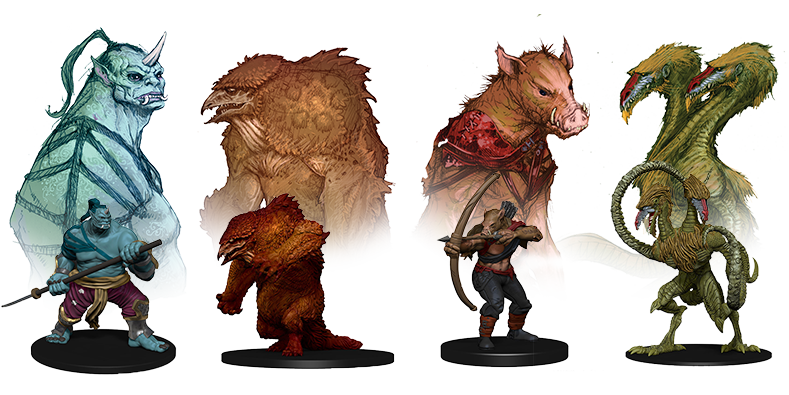 Well, WizKids is here to help, as they've released their D&D Icons of the Realms: Classic Creatures set. 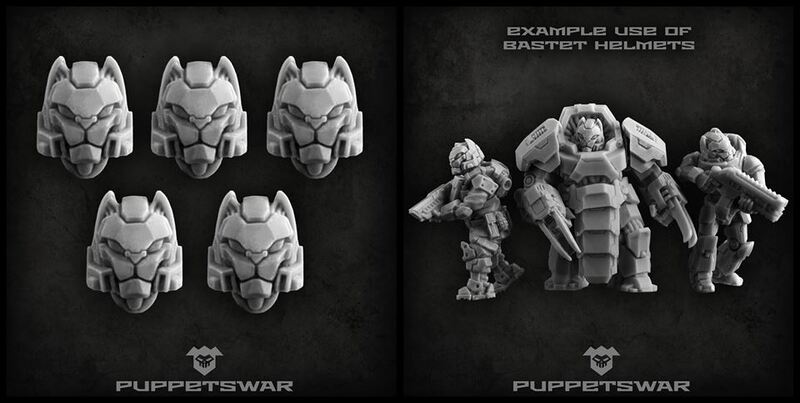 This brings a bunch of baddies to your tabletops with new sculpts to help them stand out from previous iterations. It seemed like a nice place, at the time. A valley that had a bit of a swamp problem, but nothing that couldn't be fixed without a little dam. It turned the valley into a rather productive one, agriculturally-speaking. But now, there's rumbling in the hills around the valley. Goblins. 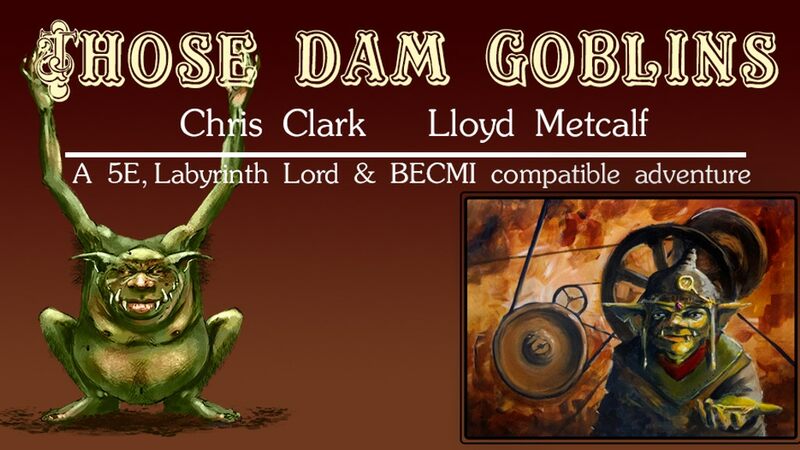 Those Dam Goblins is a new fantasy adventure for various systems that's up on Kickstarter now.